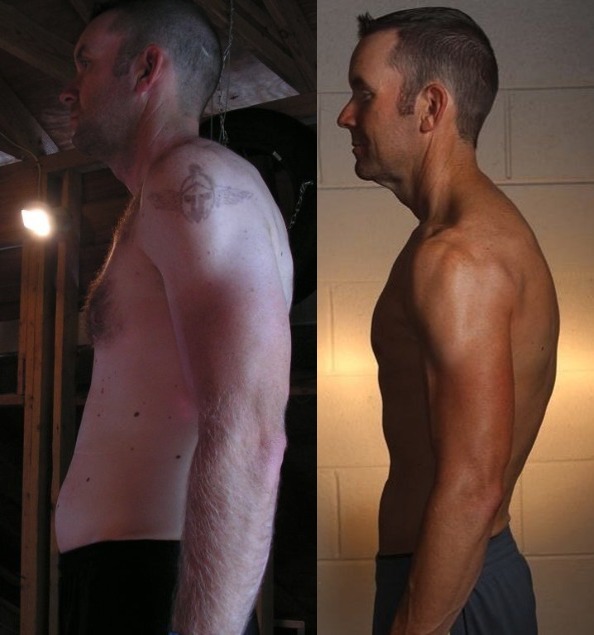 Before Tyler discovered AGR he was diligently gathering the “transformation tools for success.” If we were to look in his kit bag we would find familiar items referenced by previous transformation winners such as: determination, motivation, momentum, goal-setting, and most importantly PLANNING. Prior to discovering AGR I had tried various forms of dieting and fitness. 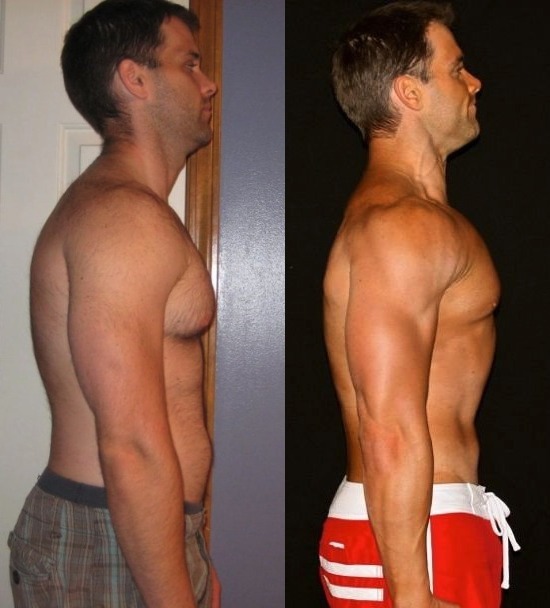 From aimless lifting what I saw others lift and though I should be lifting to the whole P-90X craze. I tried bulking, I tried eating only “health” foods. But it wasn’t until I stumbled upon the AGR that everything just fell into place. It literally was the answer to what I had been looking for so long. When I discovered AGR back in March of 2013, I was horribly out of shape at the time. At 6’1” I was 235lbs and had a 42-inch waist. When I input my measurements into the RTD calculator I got the dreaded 1,000-calorie suggestion. Only eating 1,000 calories a day took a lot of effort to stay on course. 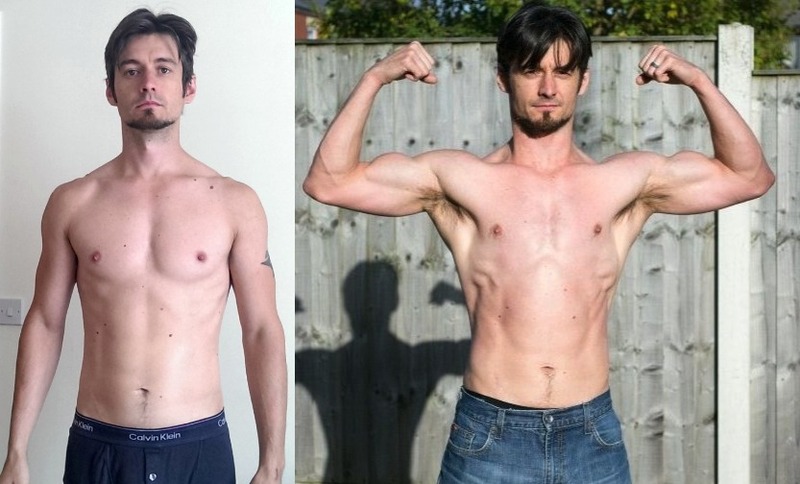 I started AGR Category 2: Fat Loss and used intermittent fasting to help accelerate my fat loss. I had never even considered the concept of fasting before. But after reading Eat Stop Eat I felt as though this would be another valuable tool to use. After only two weeks of AGR Category 2 and eating 7000 calories a week, my calories intake started to go up. And after 12 weeks, I was down 40lbs to 195 and my waist was down around a 35″-36″. I was finally back to what I had considered lean in time for the summer. Through the summer I maintained. I hovered around 195-205. I had various events going on like my 3 week National Guard Annual Training in August that prevented me from really utilizing the RTD and working out for periods of time. When I returned I immediately started back on the workouts and staying disciplined in my eating. 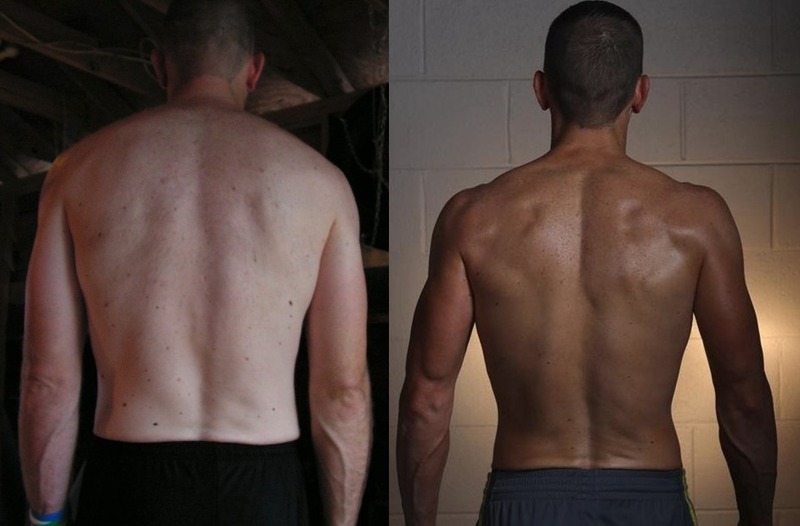 I started AGR Category 3:Combined Muscle Gain & Fat Loss two weeks before the start of AT12 and when I saw the post for the up coming contest I figured this would be the opportunity to really push myself to a level I have never seen before. I took my before pictures on my own and weighed measured myself. I started at about 204 lbs with around a 36 in waist. I figured that 12 weeks I realistically get down to my golden waist and would probably end up in the 185 lbs range. Looking at the next 12 weeks, I saw many milestones and potential roadblocks. Working two jobs and being a single father has always given me the easy excuse of “no time” to skip out on the gym. One job I work a rotating shift schedule that changes weekly to include 16 hr days. The other is my National Guard duty that I do once a month. Seeing this, I knew I needed to budget my time. I sat down and wrote out my schedule for the next 12 weeks. For every day I inputted key events, Work/Overtime/Army/Gym/Run/Pick up daughter/Drop off daughter. I listed it all, day by day. This also included three key milestones evenly spaced throughout the twelve weeks for me to overcome. Sort of mini goals within the bigger goal. I also scheduled a DEXA scan at a local University that first weekend of the contest. This was amazing being able to see exactly what my body composition was. This also motivated me to really push towards my goals. 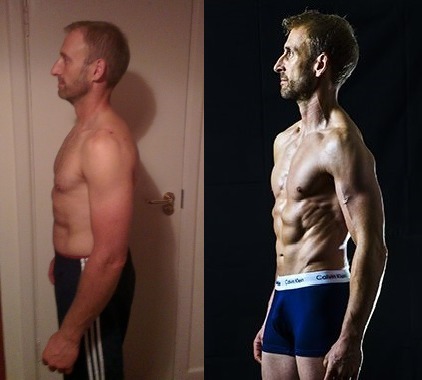 It all looked realistically possible to get down to health body fat levels in the next 12 weeks. The first month I was looking towards participating in my Battalions in house Air Assault tryouts. The main physical event for this was a 12-mile road march with a 35 lbs pack. This month, On top of my normal AGR Category 3 workouts I also added in leg boosters to try and build up strength to carry over in the road march. I also added in cardio in the form of running. When the event came, I was able to complete the road march in 2 hr and 35 min. The standard time is under 3 hrs. On top of this I was able to excel in the other events placing me as one of the top 5 candidates to get submitted for Air Assault School. Mid Oct I was looking at running a 1/2 marathon. I continued to run after workouts and on my off days and continued to increase my miles. I also started the Arms and Abs booster to add in to my workouts. At this point the RTD and Adonis workouts were second nature and I felt as though I could focus on pushing myself on my running. I also noticed that my recovery time seemed to improve. I could workout the same muscle group multiple times a week and not stay sore. When race day came I was able to run it in under my goal of 2 hrs. My official time was 1:44:14 with an average pace of 7:57 min per mile. I also finished in the top 10% of overall runners and even higher in my age division. I finished up my Arms and Abs booster and moved on to adding in the Shoulder Booster. This may have been a contributing factor to bringing back and old injury. I had injured my left shoulder playing football in High School. I noticed that my shoulder progressively hurt more and more every day. Even just sitting and resting it was constantly sore. I kept doing the workouts. I tried real hard to listen to my body and do what I could without further aggravating my injury. I was still able to do all the workouts but I really had to focus on my form and drop the weight on some of my lifts. The last milestone I anticipated to be my toughest yet. The Tough Mudder was the self-proclaimed “toughest event on the planet”. It was hailed to be a 10-12 mile mud run through 20+ military grade obstacles. However, after completing the 10.8-mile course on Nov 10th, I felt that it was somewhat….easy. Maybe it was overhyped. Or maybe my level of fitness was now at that level that this kind of event was considered easy to me. The truth is probably somewhere in the middle. But one thing is certain. The former 235 lbs, out of shape, cigarette-smoking person I was 8 months ago probably could have not completed that. 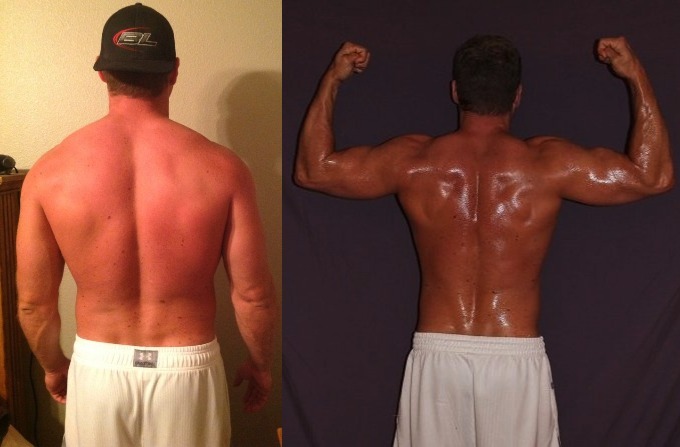 I finished my AGR Category 3 and shoulder booster workouts two weeks before the end of AT12. 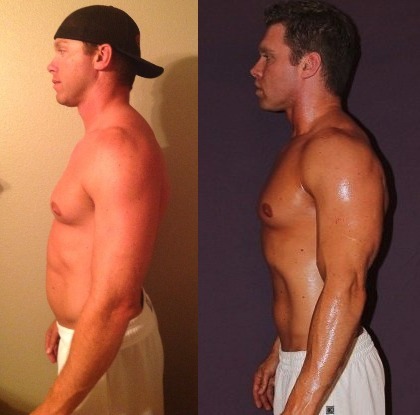 I was now down to a new level of leanness I have never seen before. Using the AT12 competition to motivate me, I was able to see my abs for the first time in my life and get my waist down to 32.25″. I was also down to 180lbs for my final weight on picture day. I have not been this light since probably my junior year in High School. 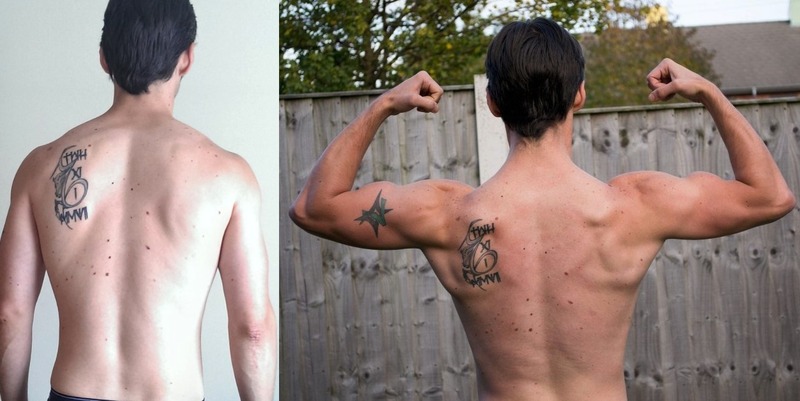 And I sure as hell was never this ripped or muscular then either. I have my after DEXA scan scheduled for this weekend and I cant wait to see the exact progress I have made over the last 12 weeks. The Adonis Golden Ratio System is probably one of the most valuable assets I have added to my life. 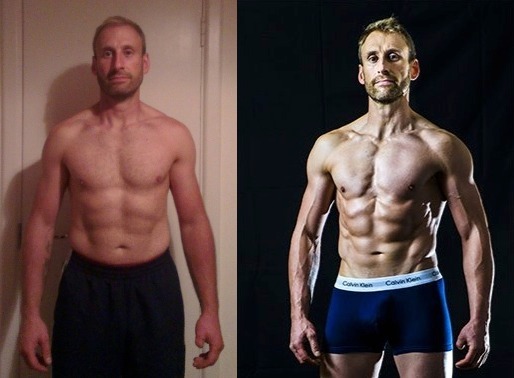 AGR has helped me to understand what it meant to live a healthy lifestyle as far as diet and fitness goes. The fact that it actually teaches you how to get yourself to a level of maintenance and stay there is probably one of the best features about this program. This has also carried over into other areas of my life and I feel I have really grown in 2013. These events and other physical recreational activities that I have participated in this year, I would never have been able to enjoy had it not been for AI. I will never go back to any other diet or fitness program out there. AGR has everything I need and I look forward to using it in my journey to achieve my golden ratio of 1.618. Wow! 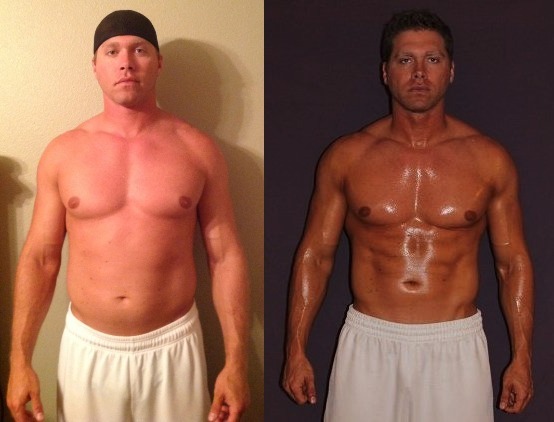 What an awesome transformation and insightful testimonial you have. 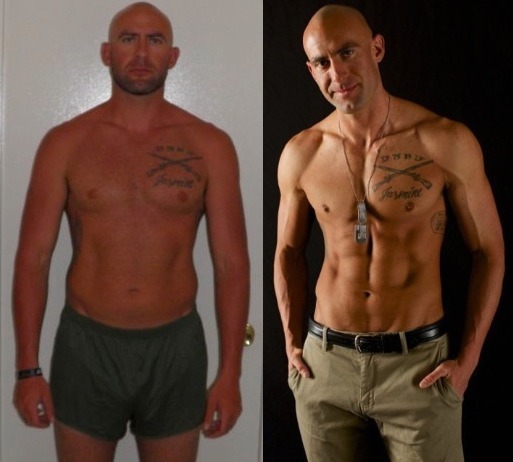 I could definitely relate to your military background and thought process towards successfully completing all your goals and objectives in this 12-week transformation period. I’m also happy to learn that your physical success realized through the AGR systems has transferred into other areas of your life as well. Way to “Stay The Course” my friend! Today John talks to Joseph Riggs who placed 10th in our last contest. At first, he was a little skeptical but the information shared during the podcast kept him “open-minded” and curious enough to learn more. 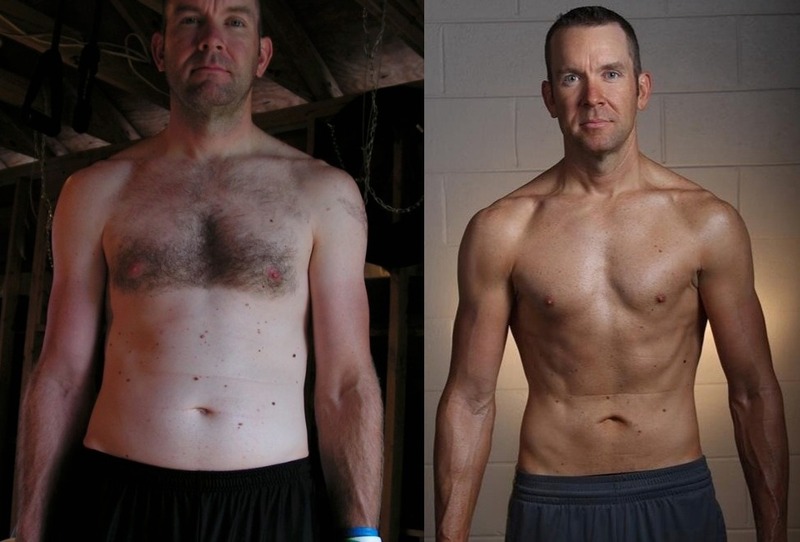 Scroll down to read more of Joseph’s transformation journey in his own words. I never really lifted weights nor ever had a desire to, just to be honest. I was happy where I was in life. I struggled with blood pressure problems, and other medical issues as well. Thankfully, my wife came up with the idea of wanting to eat “better.” I thought to myself…”So tell me, what exactly is better?” Better in my mind was doing a complete 180 from where I was at in my life. I am one of those people that when I set my mind to something I am going to give it my all. Not only did I start trying to put my diet in check but I also started running! At first I hated it. I couldn’t get very far but I had my mind made up and I kept it up. The first 35lbs came off relatively easy and quickly! I was able to lose the weight in about 2 and a half to 3 months! When I got to the 200 pound mark, I stalled out. It didn’t matter how much running I was doing the weight just wasn’t coming off the way it had been. I decided to start working out the last part of 2012. I did my own thing and the only thing I got out of it was an injury. In February 2013 I bought the Adonis Golden Ratio (AGR) Program. I dove right in and never looked back. I shadowed AT11 and I thought, what did I have to lose? So I entered AT12 and the results speak for themselves!! AGR is a lifestyle that I have embraced and will always hold on too! As I listened to your podcast and read your essay, I’m reminded of a quote, “The journey of a thousand miles begins with one step.” Thanks to your wife, who I believe positively challenged you to want to eat better. 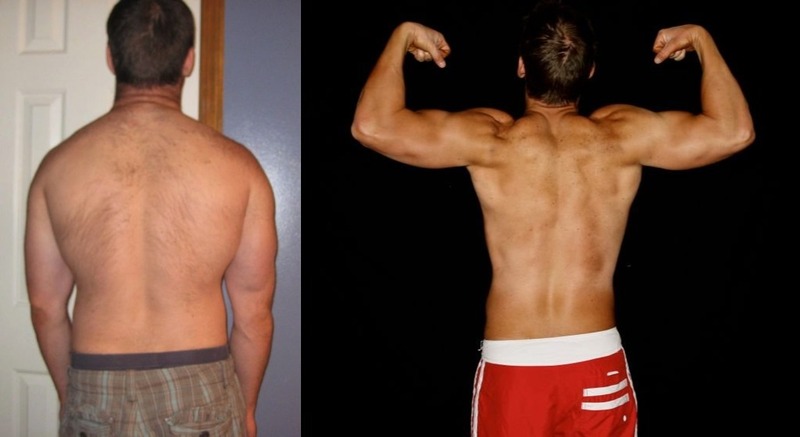 Which ultimately led you to take it to the next level and improve your overall physique. Very cool your wife is also on board with Venus as well! It was also very refreshing to hear your feedback on how much the testimonials and experience of other former contestants became your motivation & support system. 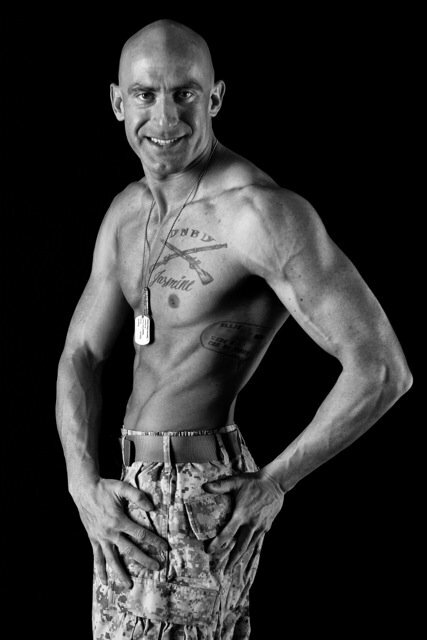 We look forward to seeing your next round of photos along your Adonis Lifestyle journey! Today John talks to Audie Harrison who placed 6th in our last contest. Audie begins the discussion talking about his obsession with coffee. It had become his crutch, helping him get through extended sessions in front of his PC. He knew it was time to make a change and rather than gradually making a change he decided to “Clear The Mechanism” and went cold-turkey. This mental battle would prove to be a continuing theme during the period of his transformation contest. Prior to beginning the AGR System, Audie’s weight had the “Yo-Yo” effect. He was literally at the mercy of his lifestyle or environment. Desperately looking for something to focus on, he felt AT12 would be the great opportunity to take control of his physique. 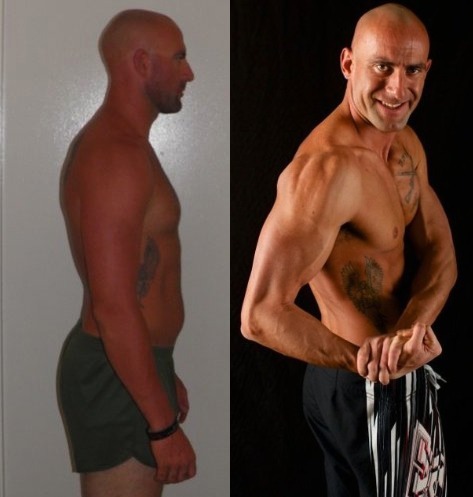 Scroll down to read more of Audie’s transformation journey in his own words. I decided to do AT12 quite a while before the contest even started. I’d gained more fat than I would have liked and decided the competition would be a good way to focus my energy and keep me on track. Had I really thought hard about it I never would have entered at this time what with a family holiday to contend with as well as a week I would be away with work. It had me freaking out at the time but I’m glad I did it anyway. 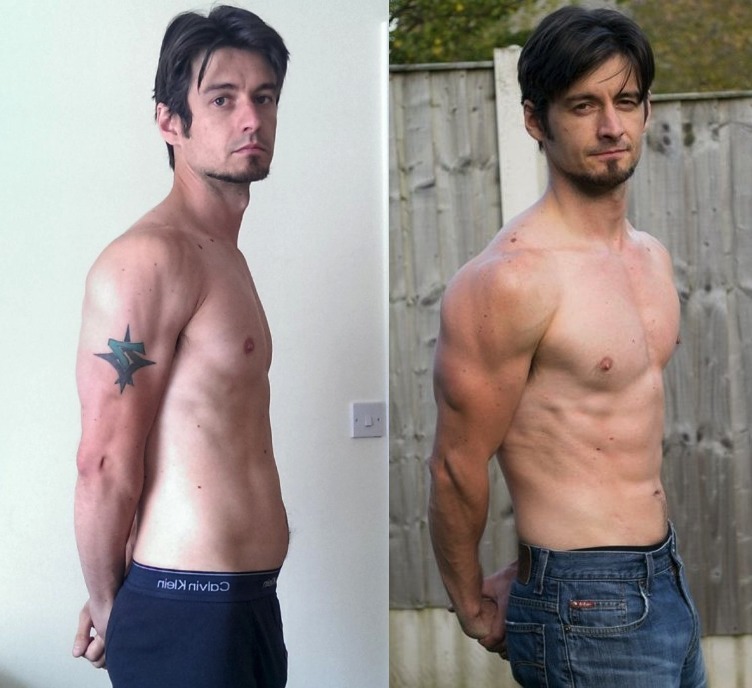 I knew I was in for a tough time and I had actually planned on being very close to my golden waist by the time the competition started, which I knew would leave the majority of my transformation to come in the form of muscle growth, which is obviously very slow. I’d set the bar high for myself but that was fine with me. Workout wise there was nothing too fancy. 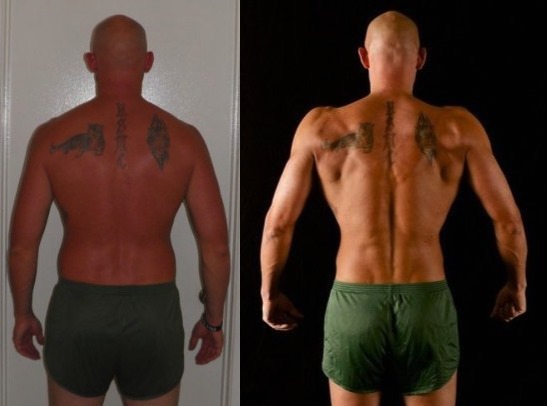 I’d spoken to various forum members about what worked for them and decided to do Adonis 3.1 and add in a Adonis Golden Ratio (AGR) Booster every single day on top of it, or as much as my body would allow anyways. My body tolerated the flow of Adonis 3.1 and I was able to stay mentally engaged during the workouts. Calories were a huge pain for me. I was on a deficit the whole time and I’d experimented with two different eating patterns, one of which made me feel horrible for two weeks. All in all, I really enjoyed the competition even though I felt I made more mistakes than I needed to. Something struck me as soon as I’d had my pictures done. There was this feeling of catharsis where everything just seemed to evaporate and I felt an immense sense of relief. It was at that point that I realized just how hard this competition can be on someone without them even knowing it. My biggest support system was the online community. There are some terrific guys on there. They’ll stand by you and encourage you when you need it, and give you a mental shake when you need that too. I honestly don’t know if I could have made it through the whole contest without the support and encouragement I received from those guys. One thing I’m very glad to take way from this contest is the liberation from doubts and worries that I had pre contest. I’m genuinely looking forward to the years ahead. Many thanks to everyone behind the Adonis Golden Ratio System, and a special shout-out to all you guys on the forums! Thanks to you that I have a very clear vision of the road ahead. I know now exactly what physique I want and exactly how I’m going to get it!